This instructor led training at our Mentor, Ohio service training facility will provide your equipment technicians with the knowledge they need to operate and perform maintenance on the V-PRO® 1, V-PRO® 1 Plus, V-PRO® maX, and V-PRO® 60 Low Temperature Sterilization Systems. This course provides the student with an in depth understanding of how to operate the V-PRO 1, V-PRO 1 Plus and V-PRO maX Low Temperature Sterilization Systems and perform troubleshooting and adjustments. The student will learn the theory of operation and functional descriptions for major components and how to access the STERIS website for technical information, technical assistance or place a service request. 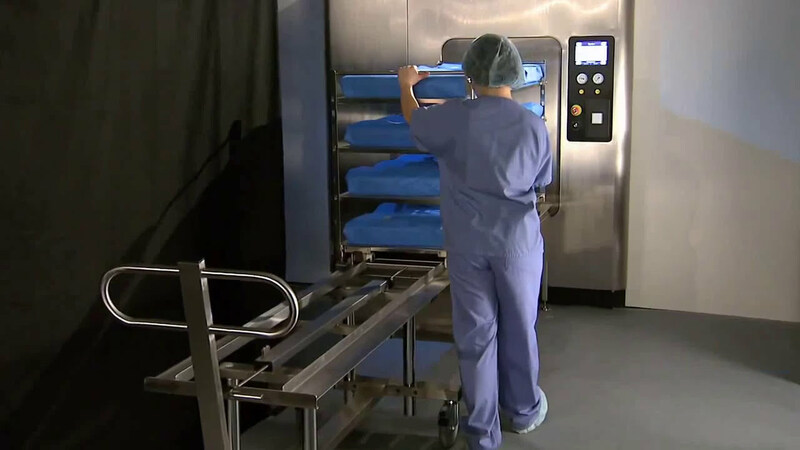 verify proper installation of the V-PRO Low Temperature Sterilization System. verify all utilities are available to operate the system. Your staff can attend focused in depth training at our facility, providing them the opportunity to operate the V-PRO 1, V-PRO 1 Plus and V- PRO maX Low Temperature Sterilization Systems and perform preventive maintenance procedures without the worries of interrupting your facility’s operation. They can gain new skills, boost their confidence, and improve their productivity. Select the desired class date in the Class Schedule section by clicking the Register button to complete the Registration Payment Information Form. If you already have a STERIS Customer Training account profile, you will receive a registration notification from STERIS upon STERIS’s receipt of full payment and your request processed. If you do not have a STERIS Customer Training account profile, please create your account here so your registration can be completed by STERIS. Creating an account profile will enable STERIS to complete your registration and you to track all learning within the STERIS University Online Learning Center. When creating your account, please use your e-mail address on the Registration Payment Information Form as your login e-mail.